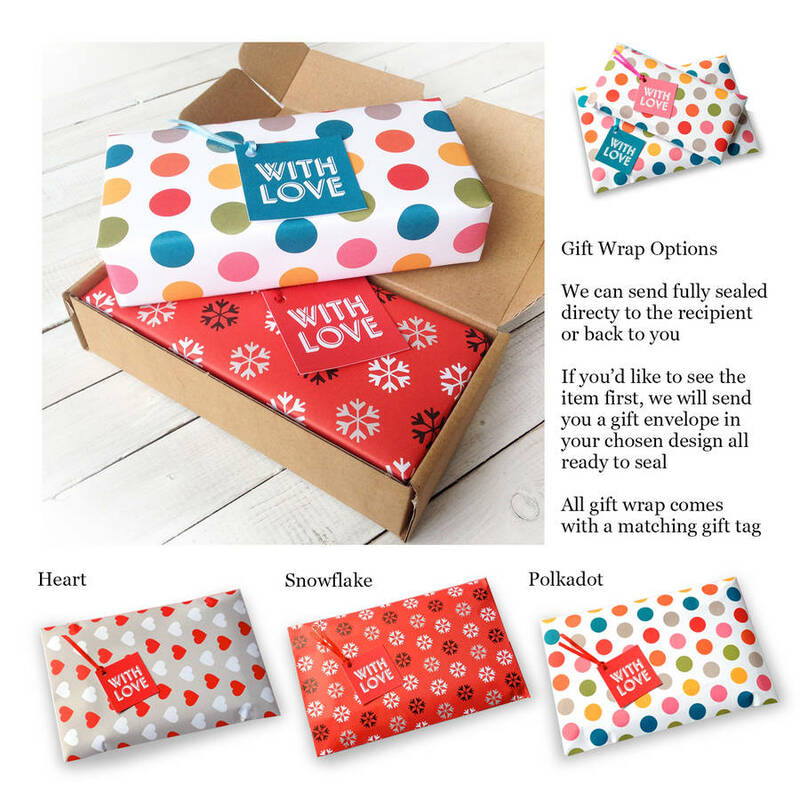 The front of the box can be personalised with the name of the recipient, and on the side of the box a message from you is also included - particularly good if you are sending this gift directly to the person. 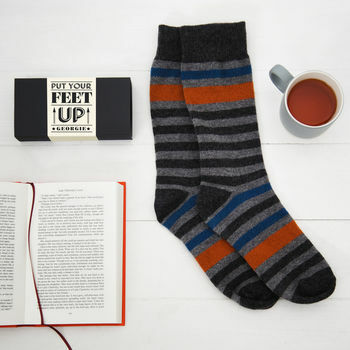 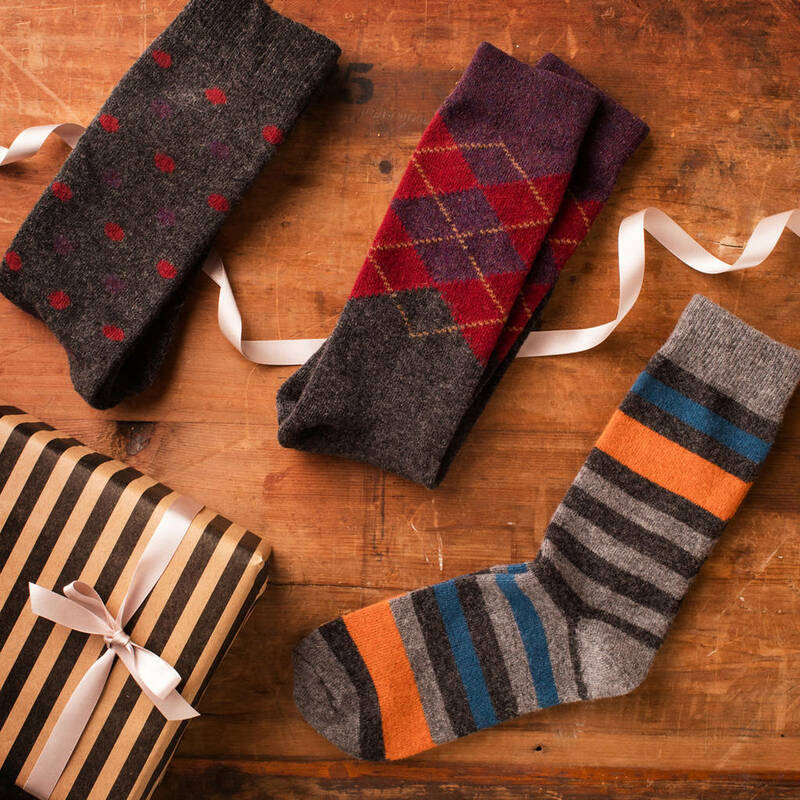 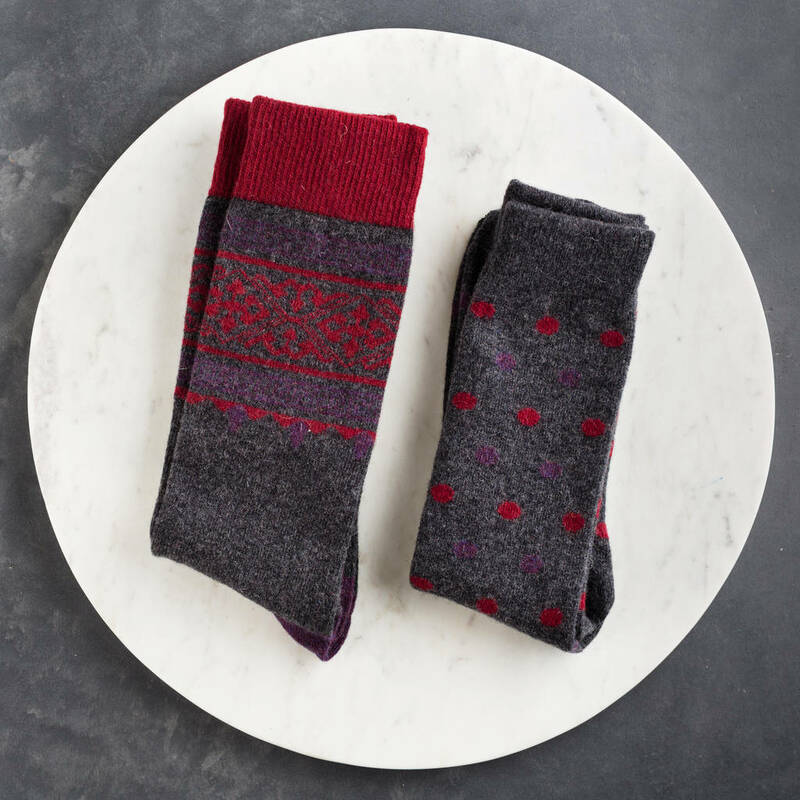 Merino Mix Stripe and Snowflake Socks are a special edition Christmas sock that combines the winter warmth of Merino wool, with stylish winter colours. 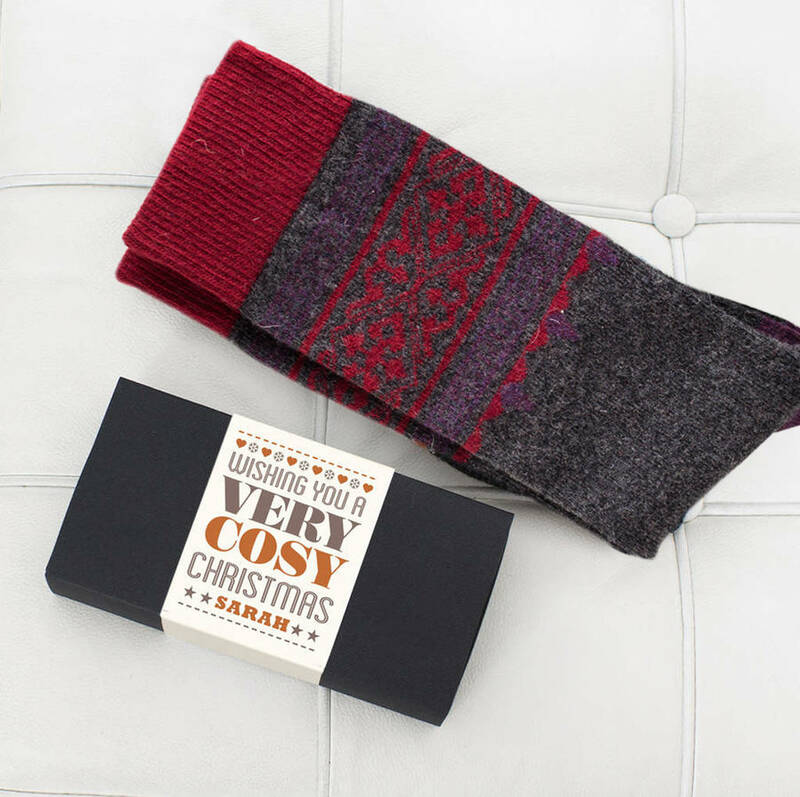 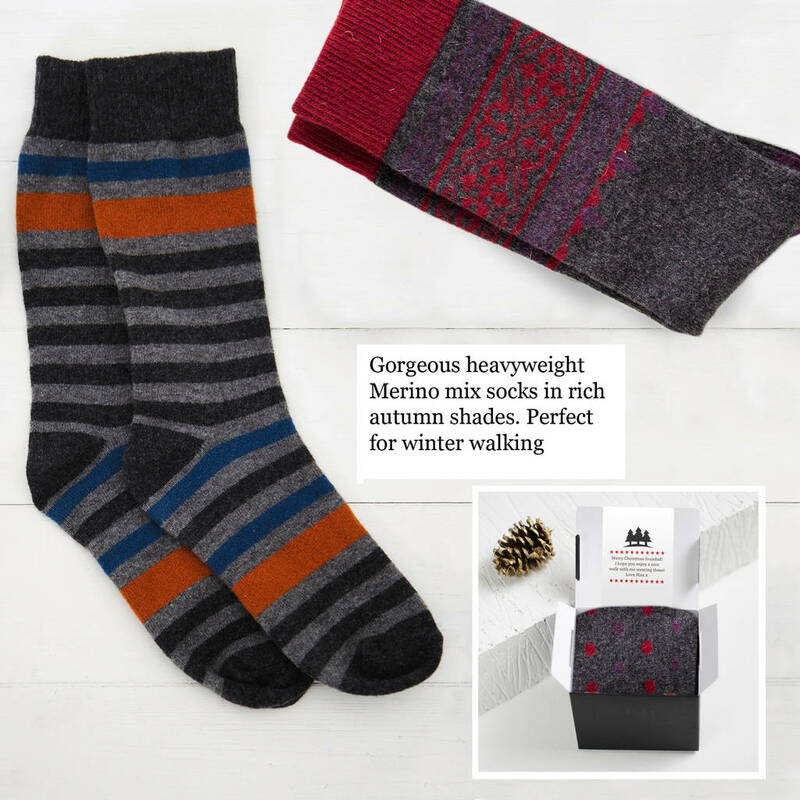 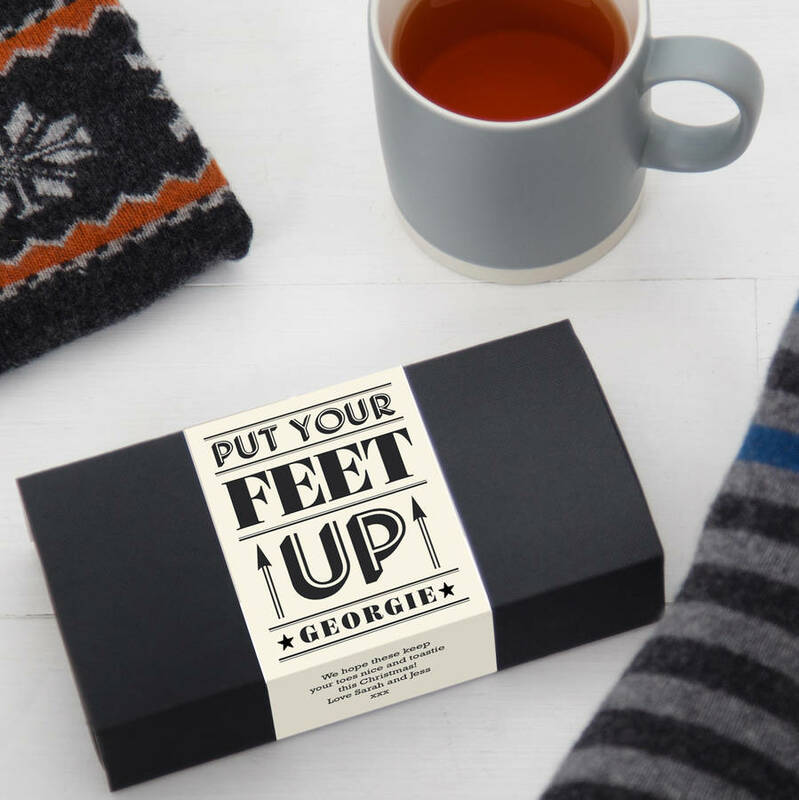 The socks are made by British sock makers HJ Hall, and are extremely thick and cosy.